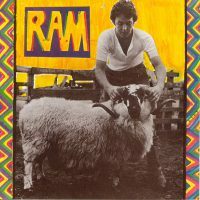 Seemingly written about his feelings about The Beatles and his new-found freedom, 3 Legs was the second song on Paul and Linda McCartney's 1971 album Ram. Regardless of his intentions, McCartney would have known that lines such as "When I thought you was my friend/But you let me down/Put my heart around the bend" and "My dog he got three legs/But he can't run" would be analysed by legions of Beatles-watchers the world over. And he cannot have failed to recognise that the lines would be interpreted as a commentary on his former band. Perhaps ironically, Lennon professed a liking for the song, listing it as one of the better recordings on Ram. The song was recorded on 16 October 1970 at Columbia Studios in New York City. More instruments were then overdubbed at Sound Recorders Studios in Los Angeles the following year. 3 Legs was one of the last songs in the Ram sessions on which guitarist David Spinozza played. Soon after he was replaced with Hugh McCracken. There's one track, which a cute thing, a blues tune, which I had fun doing. 3 Legs, it's called. We both played acoustic and sometimes Paul played piano but never played bass while we were there. He overdubbed the bass later. It was a bit weird, because bass, drums, and guitar would have been more comfortable. The film for 3 Legs consisted of the McCartneys riding horses on their land in the Mull of Kintyre, Scotland. Both clips were screened on the BBC's Top Of The Pops on 24 June 1971. Love this bluesy tune on the masterpiece RAM! Love the way McCartney uses metaphores and clever imagery to code his messages to John and ’em. Ha ha, John knew how clever Paul could be when he gave him a deserved zing or two. Anyway the tune, the lyrics are wonderful. One of the uniqueness qualities of this song is three different tempos and rhythms for each of three bars.